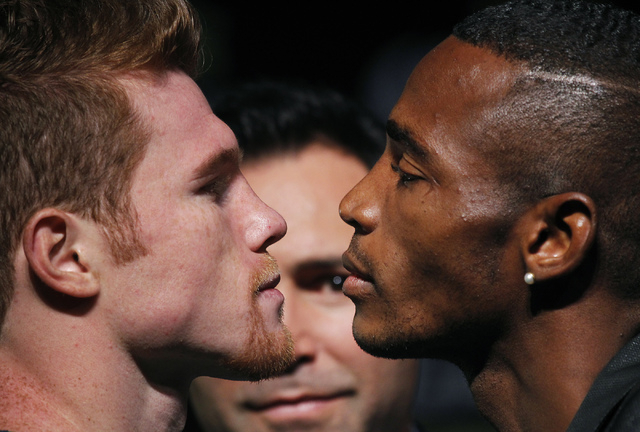 At some point, Canelo Alvarez probably would have agreed to fight Erislandy Lara. But it didn’t figure to be tonight. At least not initially. 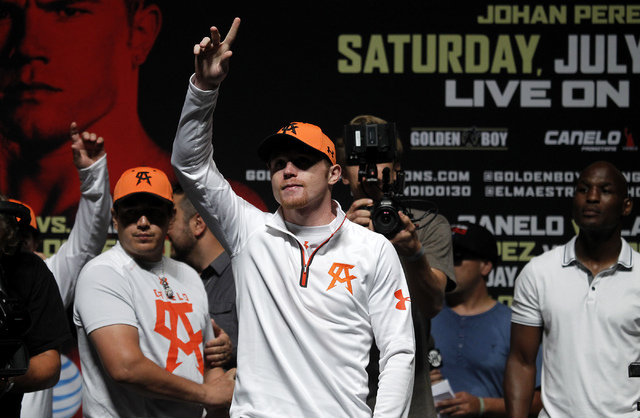 Alvarez was looking in a different direction after he dominated Alfredo Angulo March 8 at the MGM Grand Garden. But there was Lara at the postfight news conference, mouthing off like Clubber Lang in the movie “Rocky III,” disrespecting Alvarez and calling him out. 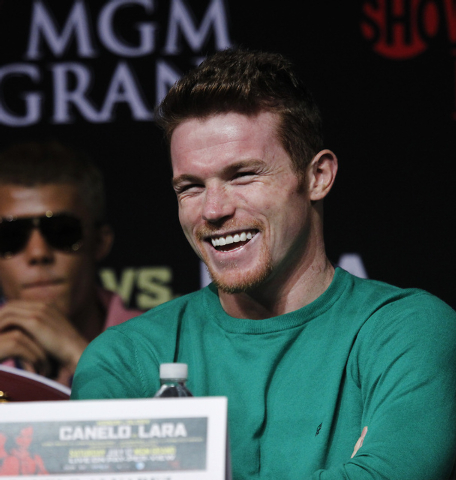 And even though Alvarez called Lara a clown from the podium, the fact the Cuban acted the way he did bothered him. 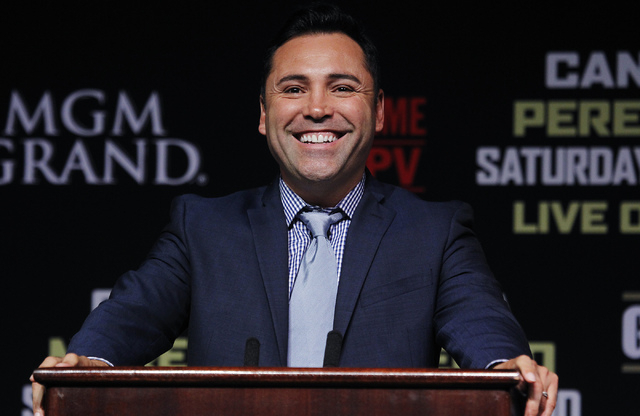 Finally, he told his promoter, Golden Boy Promotions, to make the fight. It will be contested at a catch weight of 155 pounds tonight at the MGM Grand, but Lara’s World Boxing Association junior middleweight title will not be at stake. 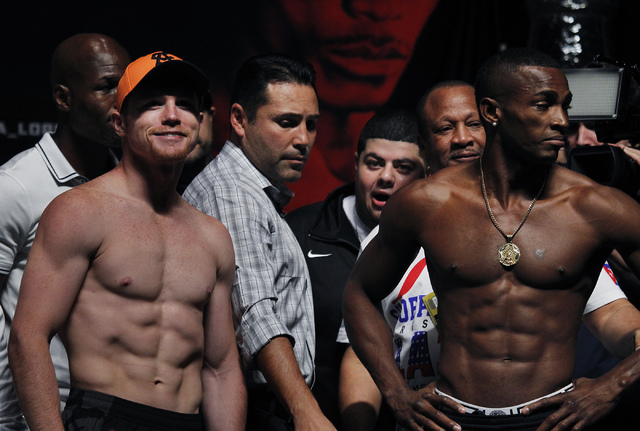 Both fighters weighed in at 155 pounds Friday for the 12-round bout. 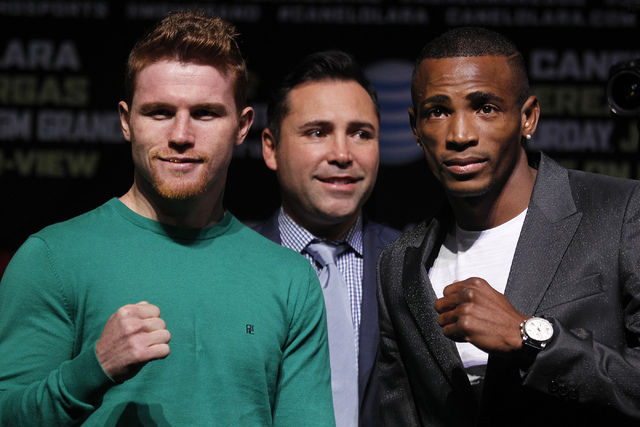 “This fight is happening because the fans want it,” Alvarez said. “Yes, his talking a lot had a lot to do with it. But if he’s not talented, we’re not fighting. But he is talented, and it’s a good fight. That’s why we made it. Perhaps that’s the promoter in Alvarez, trying to drum up support for the Showtime Pay Per View card. But there’s personal motivation involved here, too. Lara has disparaged Alvarez’s native Mexico, and that has hit home with him. He also has been personally attacked. 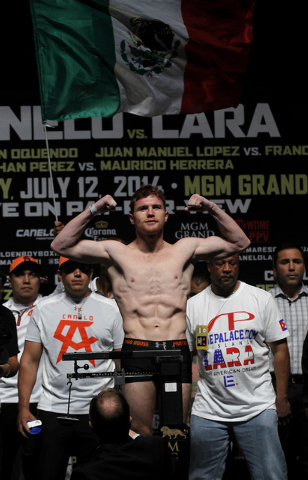 So getting ready for this fight has been relatively easy for Alvarez. Even Alvarez’s longtime trainer, Jose “Chepo” Reynoso, who is usually mild-mannered, was agitated by Lara’s negative remarks. Reynoso’s son Eddie, Alvarez’s co-trainer, said the key to victory is for their fighter to attack. 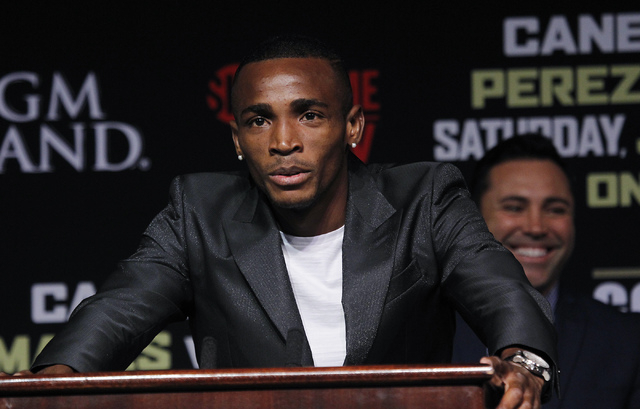 Alvarez (43-1-1, 31 knockouts) said Lara (19-1-2, 12 KOs) hasn’t earned the right to talk trash. The 23-year-old Alvarez, who began fighting professionally at age 15, has learned not to let negativity creep into his camp or his mind. Instead, he uses Lara’s remarks as motivation. Alvarez pointed to tonight as an example of his maturity. Alvarez said he came out of the Angulo fight with renewed confidence and has long forgotten his loss to Floyd Mayweather in September. ■ NOTES — Robert Byrd will be the referee for the Alvarez-Lara fight, and Jerry Roth, Dave Moretti and Levi Martinez will be the judges. 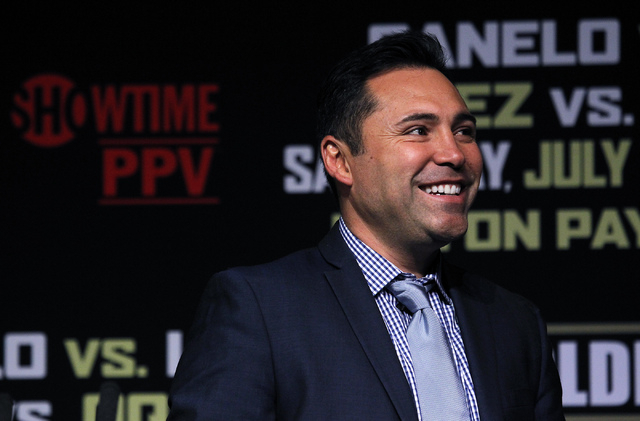 … Alvarez will make $1.5 million and Lara $1 million, according to figures released by the Nevada Athletic Commission. 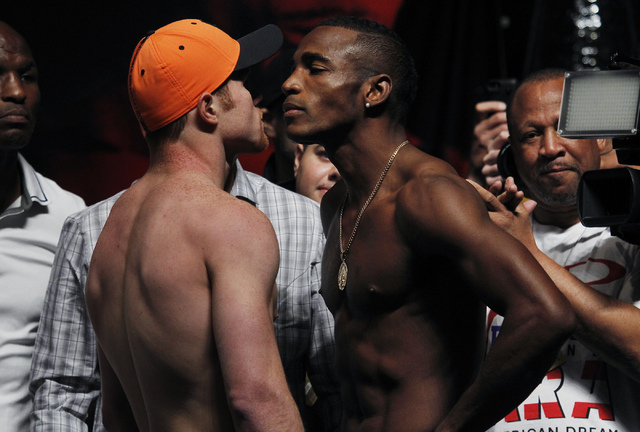 … Alvarez is a minus-210 favorite, with Lara at plus-170. … The pay per view begins at 6 p.m. and costs $59.95.